You can answer your question to an extent using a GAM. It won't tell you about whether the relationship is quadratic or not, but it will estimate the shape of the relationship between x and y and you could use the deviance explained as a surrogate for $R^2$. However, I would not base my answer on the deviance explained, but on the results of the statistical test outputted by summary(), and I would want to make sure that the assumptions of the model were met by the data. Here is an example with a non-linear relationship. There are data from an experiment that measured something (uptake) at a range of values of something else (conc) on a set of plants, each plant being measured at each conc. as mentioned earlier, we also ignored the fact that the data come from a small number of individual plants. Hence we don't have n = 84 unique data points as there is dependence or clustering at the level of the individual plant. 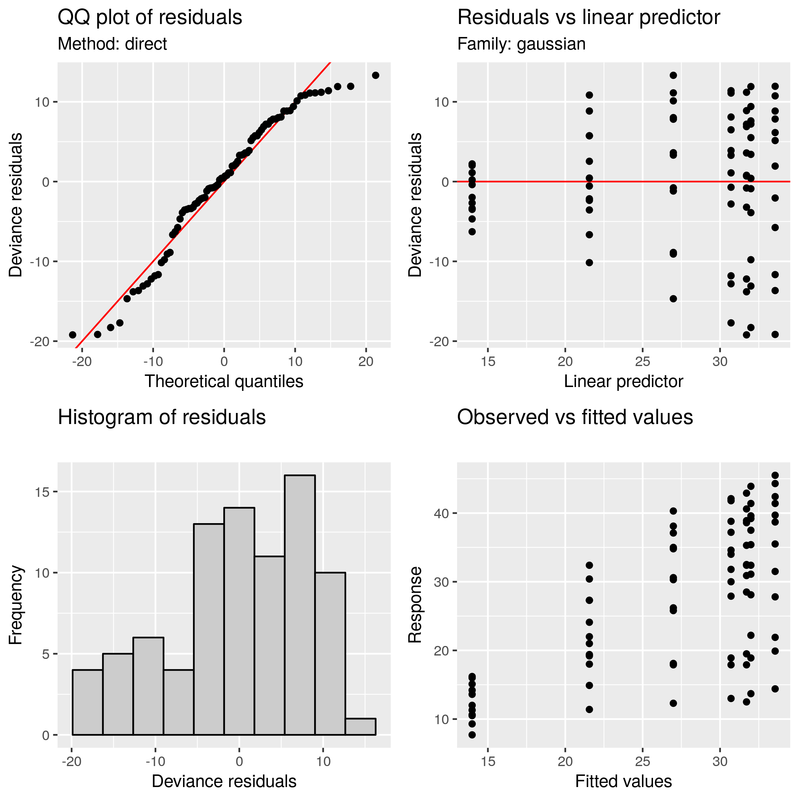 Accounting for those issues is beyond the scope of this Q&A, but we could model log(uptake) instead of uptake for example to deal with the heterogeneity, or use the Gamma family, and we would need some form of mixed or hierarchical model to deal with the dependencies at the plant level. 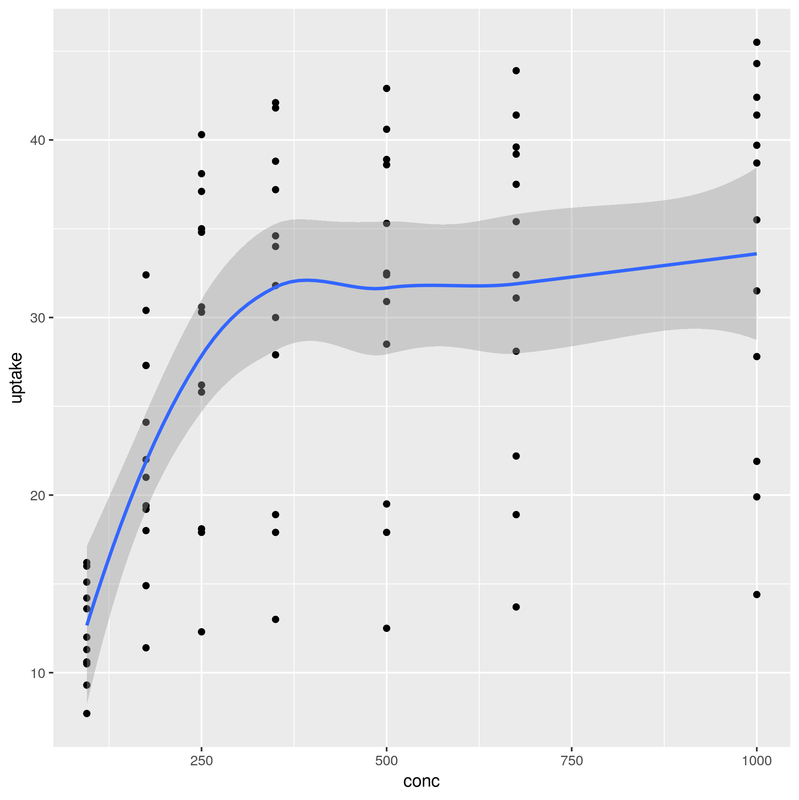 A fuller attempt to model these data using GAMs is here. Whilst you can use a GAM and the summary output to help answer the question you pose, you do need to ask the right question or at least understand what question the GAM is answering in this case), and you need to check that the model is appropriate for the data by doing the diagnostics. Not the answer you're looking for? Browse other questions tagged correlation gam polynomial quadratic-form or ask your own question.